Update Note: Bill Morefield updated this tutorial for Swift 4.2, Xcode 10 beta 5, and iOS 12 beta 5. It was previously updated by Gabriel Hauber and originally written by Colin Eberhardt. In this Text Kit tutorial, you’ll explore the various features of Text Kit as you create a simple note-taking app for the iPhone that features on-the-fly text styling, re-flowing text and dynamic-text resizing. Use the Download Materials button at the top or bottom of this tutorial to download the materials for this tutorial. The starter project implements the user interface for the app so that you can stay focused on Text Kit. 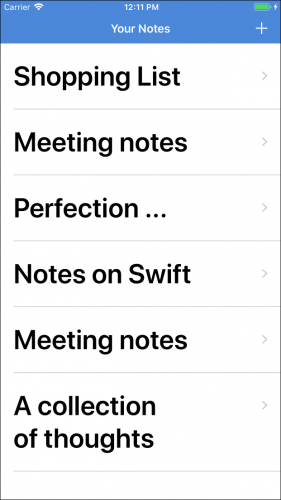 The app creates an initial array of Note instances and renders them in a table view controller. Storyboards and segues detect cell selection in the table view and transition to the view controller where users can edit the selected note. Browse through the source code and play with the app a little to get a feel for how the app is structured and how it functions. 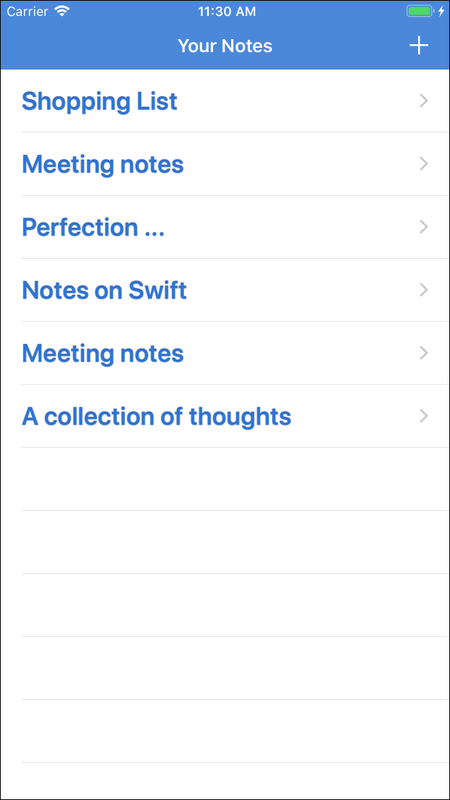 When you’re done with that, move on to the next section, which discusses the use of dynamic type in your app. 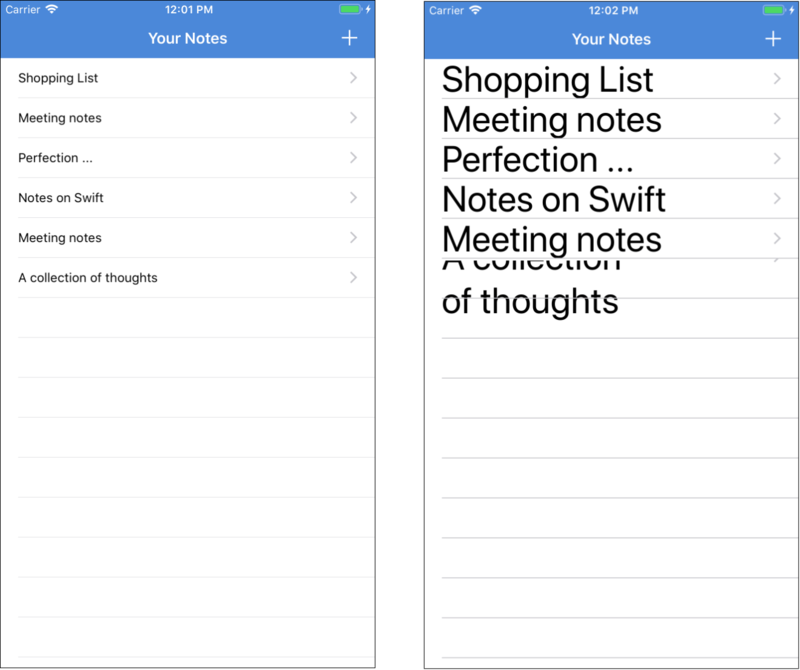 iOS offers the option to enhance the legibility of text by increasing font weight and setting the preferred font size for apps. 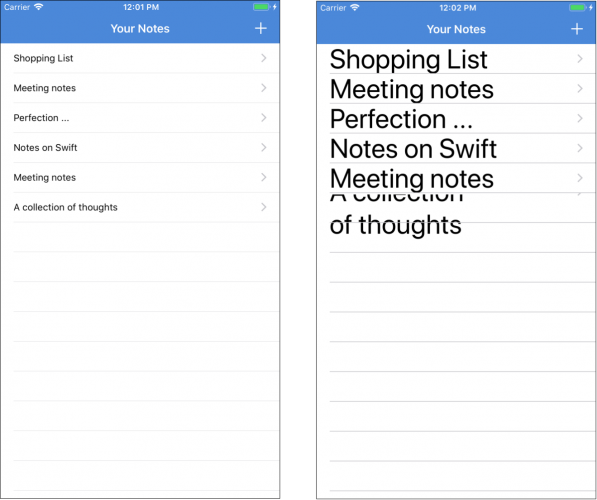 This feature is known as Dynamic Type and places the onus on your app to conform to user-selected font sizes and weights. 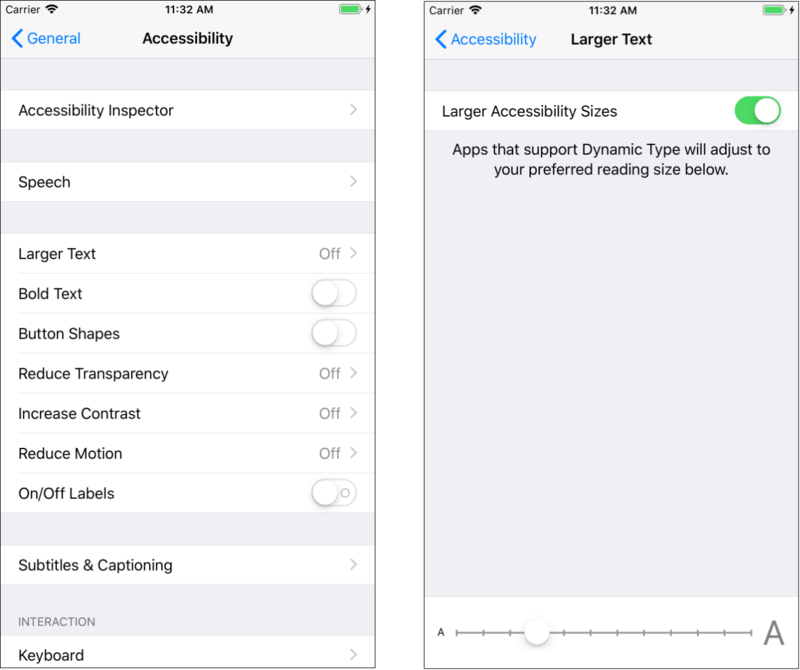 In iOS, open the Settings app and navigate to General ▸ Accessibility ▸ Larger Text to access Dynamic Type text sizes. 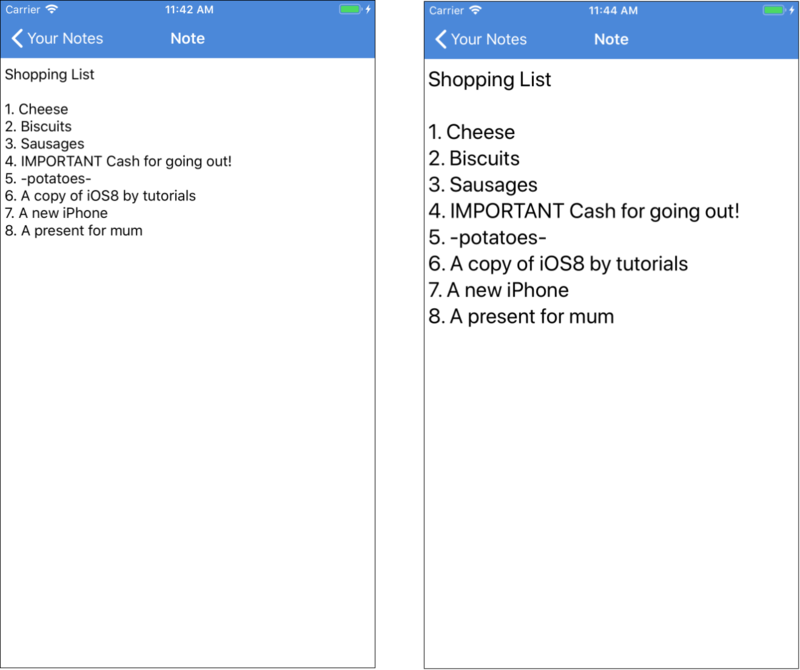 The text on the left uses the smallest user selectable text size. The text in the center uses the largest, and the text on the right shows the effect of enabling the accessibility bold text feature. Implementing basic support for dynamic text is straightforward. Instead of specifying exact fonts in your app, you request a font for a specific style. 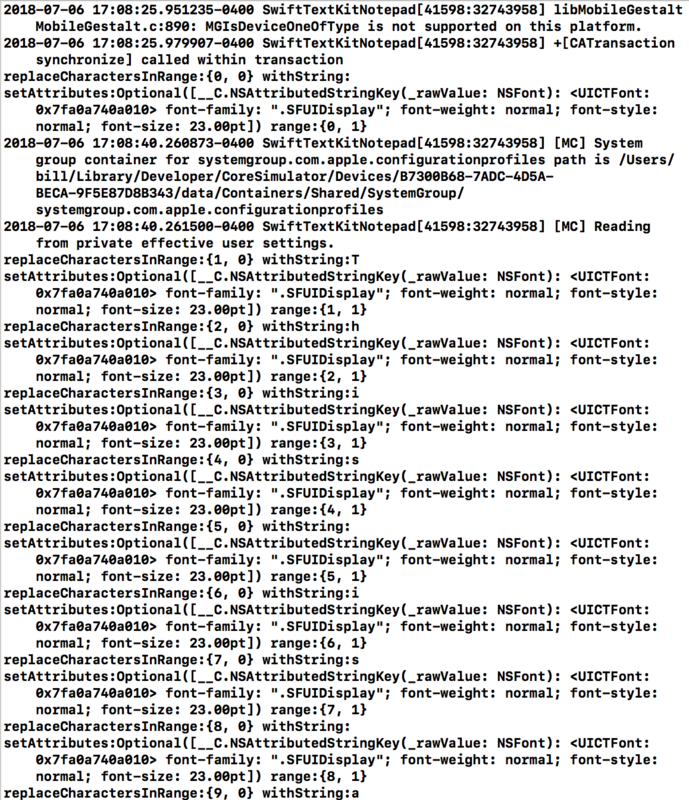 At runtime, iOS selects a suitable font based on the given style and the user’s text preferences. Build and run the starter project app. Try changing the default text size in Preferences to various values. 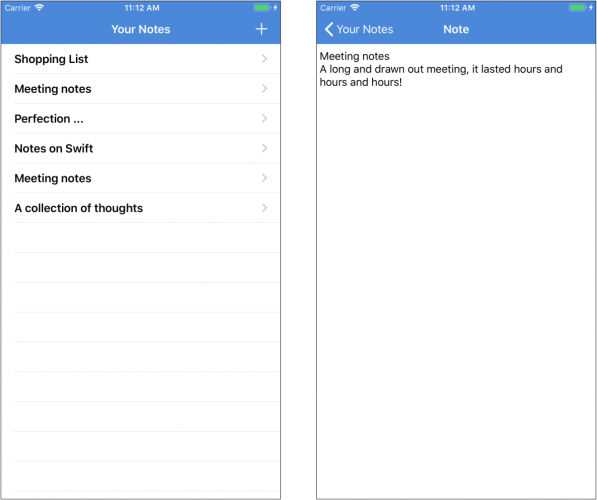 You’ll notice that the text size in list of notes changes. And you didn’t have to do a thing! Open Main.storyboard to find out why. Locate the NotesListViewController and select the Title label in the prototype cell. You can see that the font is HeadLine. Since it’s a dynamic type, the system resizes it according to the user preferences. 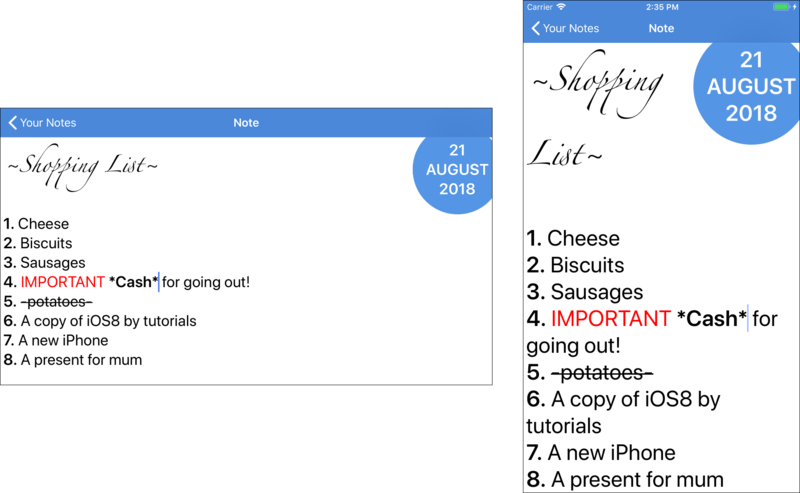 If you click on a note and see the detail view, you’ll also notice that the notes do not reflect changes to the text size settings. You’ll fix that now. Notice that you’re not specifying an exact font such as Helvetica Neue. 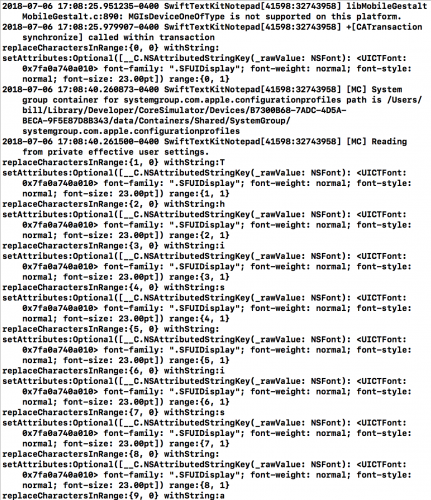 Instead, you’re asking for an appropriate font for body text style using the .body constant. That looks pretty good, but there is one issue. Change the text size again under Settings ▸ General ▸ Accessibility ▸ Larger Text. Switch back to the app — without re-launching it — and you’ll notice that the note didn’t change the text size. Like the table views, text views have built-in support for Dynamic Type; making it respond to the changes is as easy as setting a property. With that single line, you just told the text view to automatically reload the font when the system configuration changes. 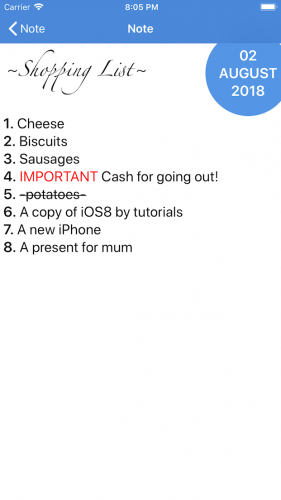 Isn’t it great when iOS does all the hard work for you? Build and run your app. 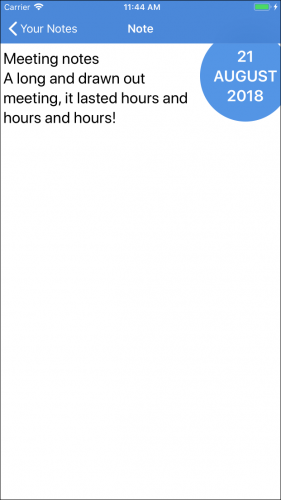 Change the text-size setting and verify that your app responds to the new user preferences. To ensure your table view looks good across the range of font sizes, your layout needs to be responsive to the user’s text settings. This is easy because Auto Layout and self-sizing cells do most of the work for you. This code configures the table view to calculate the row height based on the cell content. You need to set an estimated height, which iOS will use as a default height before calculating the actual value. Now, it’s time to give a new style to your app. The letterpress effect adds subtle shading and highlights that give text a sense of depth — much like the text has been slightly pressed into the screen. To get that effect, you’ll use NSAttributedString. This code creates an attributed string with a HeadLine style font, blue color and a letterpress text effect, and then assigns it to the text label in the cell. Letterpress is a subtle effect, but that doesn’t mean you should overuse it. Visual effects may make your text more interesting, but they don’t always make your text more legible. Flowing text around images and other objects is a commonly needed styling feature. Text Kit allows you to render text around complex paths and shapes with exclusion paths. It would be handy to show the note’s creation date. You’re going to add a small curved view to the top right-hand corner of the note that shows this information. This view is already implemented for you in the starter project. You can have a look it at TimeIndicatorView.swift. You’ll start by adding the view itself. Then you’ll create an exclusion path to make the text wrap around it. This creates an instance of the new view and adds it as a subview. 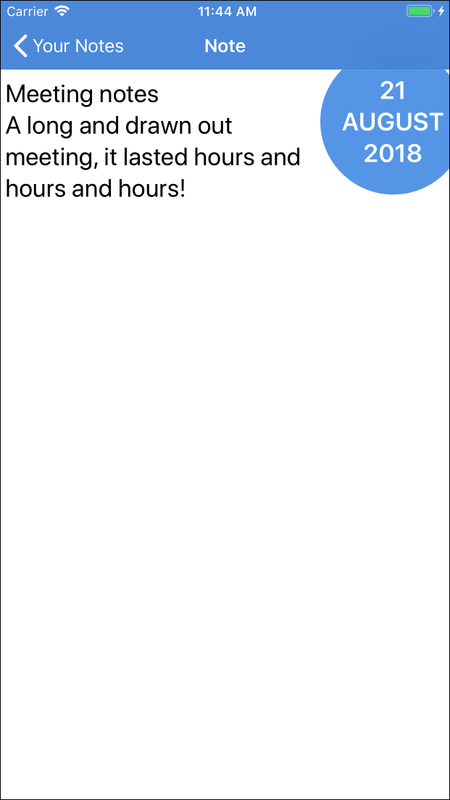 TimeIndicatorView calculates its own size, but it won’t automatically do this. You need a mechanism to change its size when the view controller lays out the subviews. The system calls viewDidLayoutSubviews() when the view dimensions change. When that happens, you call updateTimeIndicatorFrame(), which then invokes updateSize() to set the size of the subview and place it in the top right corner of the text view. 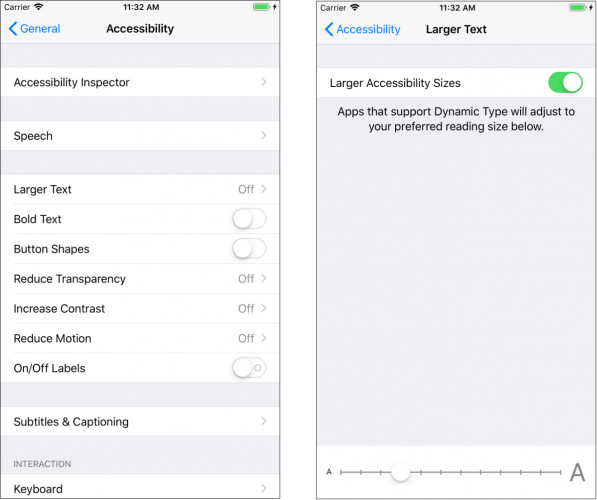 Modify the Text Size preferences, and the view will adjust to fit. But something doesn’t look quite right. The text of the note renders behind the time indicator instead of flowing around it. This is the problem that exclusion paths solve. Open TimeIndicatorView.swift and take look at curvePathWithOrigin(_:). The time indicator view uses this code when filling its background. You can also use it to determine the path around which you’ll flow your text. That’s why the calculation of the Bezier curve is broken out into its own method. This code creates an exclusion path based on the Bezier path in your time indicator view, but with an origin and coordinates relative to the text view. Build and run your project. Now, select an item from the list. The text now flows around the time indicator view. This example only scratches the surface of the capabilities of exclusion paths. Notice that the exclusionPaths property expects an array of paths, meaning each container can support multiple exclusion paths. Exclusion paths can be as simple or as complicated as you want. Need to render text in the shape of a star or a butterfly? As long as you can define the path, exclusion paths will handle it without problem. You’ve seen that Text Kit can dynamically adjust fonts based on the user’s text size preferences. Wouldn’t it be cool if fonts could update based on the text itself? Make any text surrounded by the tilde character (~) a fancy font. Make any text surrounded by the underscore character (_) italic. 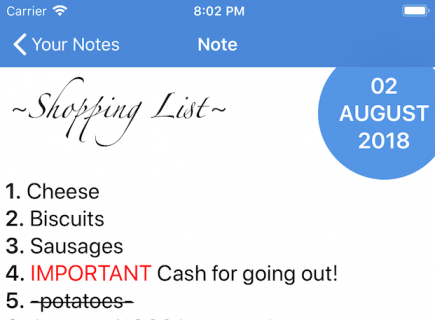 Make any text surrounded by the dash character (-) crossed out. Make any text in all caps colored red. That’s exactly what you’ll do in this section by leveraging the power of the Text Kit framework! NSTextStorage stores the text it is to render as an attributed string, and it informs the layout manager of any changes to the text’s contents. You can subclass NSTextStorage in order to dynamically change the text attributes as the text updates (as you’ll see later in this tutorial). NSLayoutManager takes the stored text and renders it on the screen. It serves as the layout ‘engine’ in your app. NSTextContainer describes the geometry of an area of the screen where the app renders text. 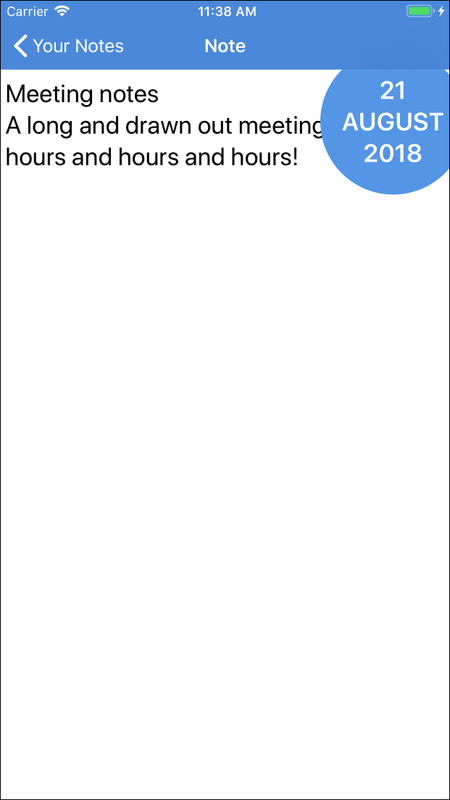 Each text container is typically associated with a UITextView. You can subclass NSTextContainer to define a complex shape that you would like to render text within. You’ll need to subclass NSTextStorage in order to dynamically add text attributes as the user types in text. Once you’ve created your custom NSTextStorage, you’ll replace UITextView’s default text storage instance with your own implementation. 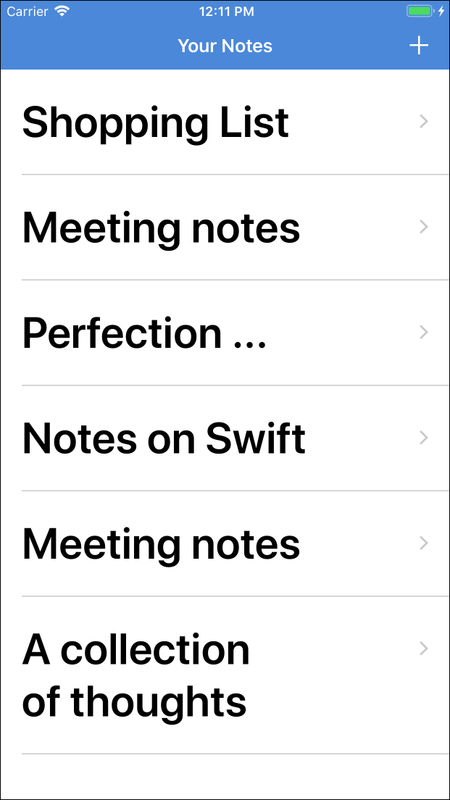 Right-click on the SwiftTextKitNotepad group in the project navigator, select New File…, and choose iOS/Source/Cocoa Touch Class and click Next. Name the class SyntaxHighlightTextStorage, make it a subclass of NSTextStorage, and confirm that the Language is set to Swift. Click Next, then Create. A text storage subclass must provide its own persistence, hence the use of a NSMutableAttributedString backing store — more on this later. The first of these two declarations overrides the string computed property, deferring to the backing store. Likewise the attributes(at: location) method also delegates to the backing store. Again, these methods delegate to the backing store. However, they also surround the edits with calls to beginEditing(), edited() and endEditing(). The text storage class requires these three methods to notify its associated layout manager when making edits. Now that you have a custom NSTextStorage, you need to make a UITextView that uses it. Instantiating UITextView from the storyboard editor automatically creates an instance of NSTextStorage, NSLayoutManager and NSTextContainer (i.e., the Text Kit stack) and exposes all three instances as read-only properties. There is no way to change these from the storyboard editor, but you can create the UITextView and Text Kit stack programmatically. Open Main.storyboard and locate the note editor view by expanding Detail Scene ▸ Detail ▸ View. Select Text View and delete this UITextView instance. These two properties are for your text view and the custom storage subclass. Since you are no longer using the outlet for the text view and will be creating one manually instead, you can remove them safely. Instantiate an instance of your custom text storage and initialize it with an attributed string holding the content of the note. 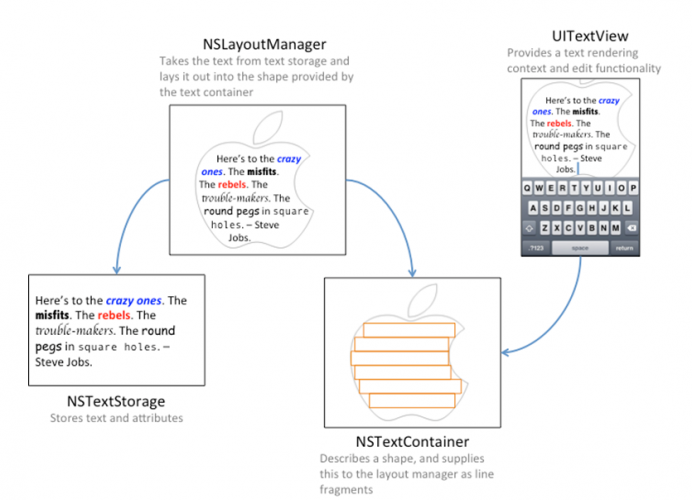 Create a text container and associate it with the layout manager. Then, associate the layout manager with the text storage. Create the actual text view with your custom text container, set the delegate and add the text view as a subview. Set the Auto Layout constraints to make the text view the same size as the parent view. Note that the text container has a width that matches the view width, but has infinite height — or as close as .greatestFiniteMagnitude can come to infinity. This is enough to allow the UITextView to scroll and accommodate long passages of text. This is the logging code from within SyntaxHighlightTextStorage to give you an indicator that your custom text handling code is being called. The basic foundation of your text parser seems solid. Now, you’ll add the dynamic formatting! In this next step, you are going to modify your custom text storage to embolden text *surrounded by asterisks*. Create a bold and a normal font to format the text using font descriptors. Font descriptors help you avoid the use of hard-coded font strings to set font types and styles. Create a regular expression (or regex) that locates any text surrounded by asterisks. For example, in the string “iOS 8 is *awesome* isn’t it?”, the regular expression stored in regexStr above will match and return the text “*awesome*”. Enumerate the matches returned by the regular expression and apply the bold attribute to each one. Reset the text style of the character that follows the final asterisk in the matched string to “normal”. This ensures that any text added after the closing asterisk is not rendered in bold type. Note: Font descriptors are a type of descriptor language that allows you to apply specific attributes to fonts or obtain details of font metrics, without the need to instantiate an instance of UIFont. The code above expands the range that your code inspects when attempting to match your bold formatting pattern. This is required because changedRange typically indicates a single character. 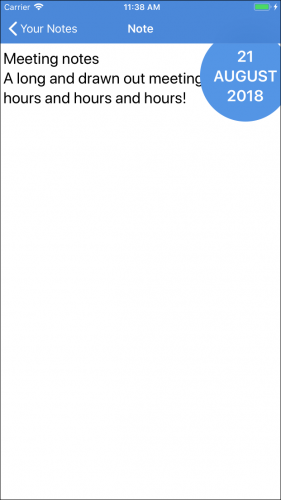 lineRange(for:) extends that range to the entire line of text. processEditing() sends notifications to the layout manager when the text changes. It also serves as a convenient home for any post-editing logic. You’re likely thinking of all the other styles that you might add to your text. The basic principle of applying styles to delimited text is rather straightforward: Use a regex to find and replace the delimited string using applyStylesToRange(searchRange:) to set the desired style of the text. This method applies the supplied font style to the body font. It provides a zero size to the UIFont(descriptor:, size:) constructor, which forces UIFont to return a size that matches the user’s current font size preferences. First, create a “script” style using Zapfino as the font. 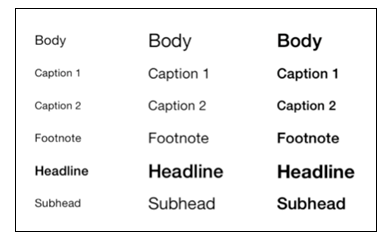 Font descriptors help determine the current preferred body font size. This ensures the script font also honors the user’s preferred text size setting. Next, construct the attributes to apply to each matched style pattern. You’ll cover createAttributesForFontStyle(withTrait:) in a moment. Finally, create a dictionary that maps regular expressions to the attributes declared above. If you’re not familiar with regular expressions, the dictionary above might look a bit strange. These expressions specify patterns that match the text you want to apply a style to. If you’d like to learn more about regular expressions, check out this NSRegularExpression tutorial and cheat sheet. You’re calling the plain initializer with no arguments in the rest of your project. The init(coder:) initializer is required to keep the compiler happy. This method previously performed one regex search for bold text. Now, it iterates over the dictionary of regex matches and attributes since there are many text styles to look for. For each regex, it runs the search and applies the specified style to the matched pattern. Note that the initialization of the NSRegularExpression can fail if the pattern has an error in it. You catch the resulting error from the failed compilation of the pattern and log it so that you can fix the pattern. Here’s a slightly more challenging exercise. 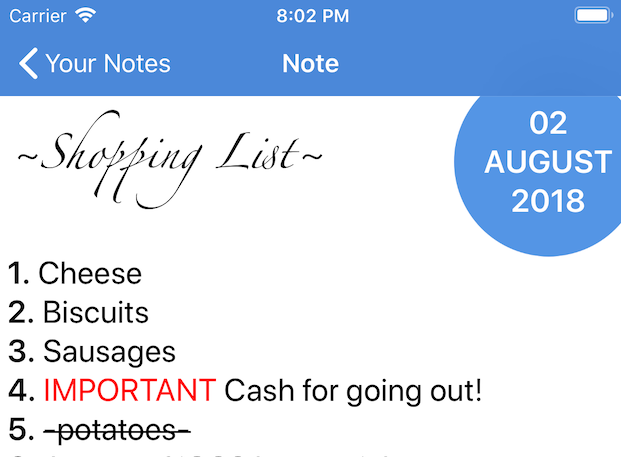 If you enter the text: “*This is not bold*” (without the quotes) into a note, you’ll discover that it does not turn bold. In other words, if the selected text has multiple spaces between the words, there is no match. Can you create a regular expression that will embolden that text? It’s just a simple modification of the one already in the code. Your app is nearly complete, but there is one loose end to clean up. If you try changing the Dynamic Type size after applying attributes, you’ll notice that the decorated strings don’t respond to content size changed notifications since your custom implementation doesn’t yet support this action. To correct the issue with dynamic type, your code should update the fonts used by the attributed string containing the text of the note when the content size change notification occurs. The method above applies the body text style to the entire string, re-creates the highlight patterns based on the new font configuration and then re-applies the highlighting styles. Hopefully, this Text Kit tutorial has helped you understand the features of the library you’ll no doubt find useful in practically every app that you write. 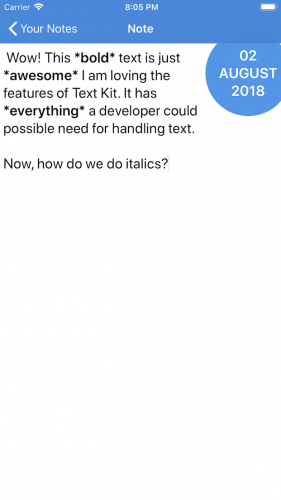 You’ve implemented dynamic type support, learned to respond to changes in text sizes within your app, used exclusion paths, and dynamically applied styles to text. You can download the completed version of the project using the Download Materials button at the top or bottom of this tutorial to view the final project. If you’d like to learn more about Dynamic Type, check out our book iOS 11 By Tutorials. The book has a chapter on using Dynamic Type in your app. We hope you enjoyed this tutorial. If you have any questions or comments please join the forum discussion below!